Monday 19. 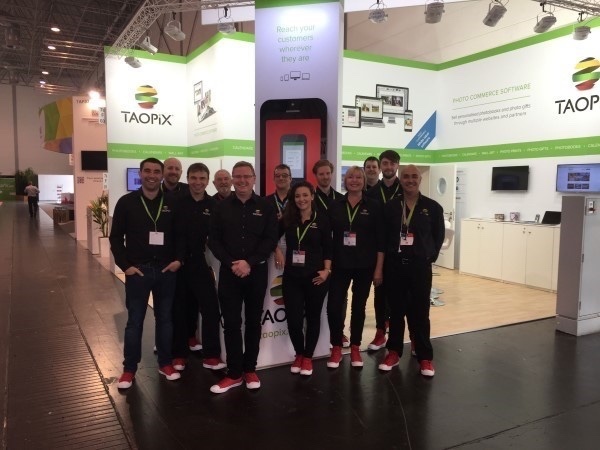 September 2016 - UK software developer, Taopix, is gearing up for its busiest Photokina yet. The photo commerce software manufacturer has implemented a successful marketing campaign that has resulted in a record number of pre-booked meetings with customers and prospects alike at its stand in Hall 9. The company is preparing to demonstrate its innovative platform that helps businesses sell personalised photo products through online, mobile and desktop designers. Visitors to the stand will be able to see the newly refreshed Taopix Desktop Designer that boasts a wide range of customisation options. The new Desktop UI Theming Module will give licensees the ability to customise the user interface namely icons, buttons and text colours as well as background and line colours to match brand look and feel. The Taopix team are also looking forward to showcasing the new extended Library Link API that allows those businesses with external image libraries and licensed content to give customers access to images from alternative sources as well as being able to monetise images. The new Calendar Designer will also be in action and visitors will be able to see a range of highly personalised calendar products that can be ordered from Smartphone and larger screen devices. Anyone who is interested in selling photo books, photo prints, gifts and wall art will also be able to experience the different user journeys across multiple devices. Taopix staff will be on hand to discuss the many routes to market and white-label opportunities that are offered through the platform. Social media connections will also play a prominent role with visitors being able to learn more about accessing images from popular sites as well as post-order sharing on social media.